As my boys grow older, their wishlists change. There used to be Lego, Lego and more Lego on the lists. These days they are asking for sportswear and games filled with zombies. Hordes of zombies. Now do you understand why I need flowers in my life? There is not much news on the gardening front. The dahlia tubers are out of the ground and the spring bulbs are planted. I planted white narcissi, Leucojum, Fritillaria Persica and Allium ‘Purple Sensation’ in the back garden. These are bulb varieties that don’t need to be re-planted each year. Hopefully, they will multiply and spread. In the front borders, we have Anemone nemorosa, Spanish bluebells and lily-of-the-valley. These bulbs were already in the garden when we bought the house and come back every year. As the gardening season comes to an end I thought it would be useful to look back at what I have grown in my dahlia garden. 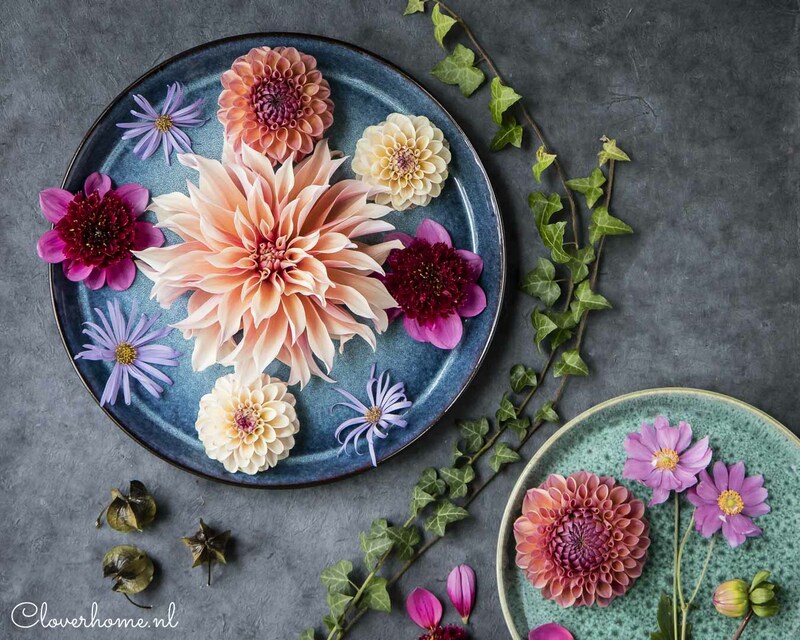 I already shared my favourite cut flower dahlias with you in a previous post, but this time I wanted to do a full dahlia garden review, sharing my successes and failures. 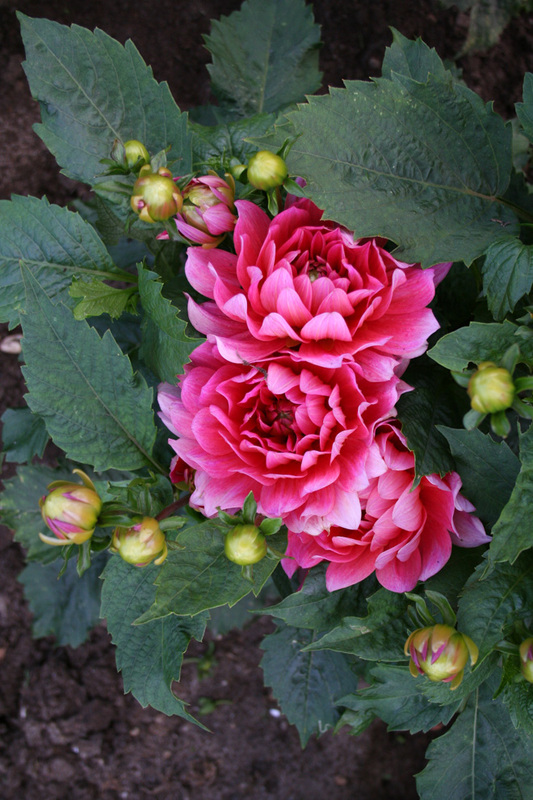 It’s too early to order any dahlia tubers just yet, but maybe you are already making plans for next year’s garden. I love scrolling through Instagram, seeing what others are growing, asking for names and putting one beautiful flower after another on my list. Maybe you want to add some of the dahlias I have grown to your list. Starting with failures, I think my dahlia garden was a success, especially considering it was my first year growing dahlias. Not all tubers sprouted, about 4 or 5 of the 60 or so I planted didn’t come up. I think that’s a reasonable amount to lose. Most of my tubers were slow to grow, maybe because they were planted in a new place? I didn’t have any problems with slugs or other pests, which is remarkable because slugs ate all my basil and many other plants in the garden at home. Some of my plants fell over when they became too tall. I did stake them, but apparently not good enough. Next year I will pinch out the center shoot above the third or fourth set of leaves. It is supposed to keep the plant shorter and bushier, and thus more manageable. I didn’t know about pinching, it’s one of the many things I learned this year. One of the other things I learned is that there are dahlias for containers and borders and dahlias recommended as cut flowers. Berliner Kleene was the first of my dahlias to bloom. I was pleasantly surprised with the bright, pink flowers and the large numbers of blooms. As you can see in the picture, the flowers grow close together and are almost impossible to cut. The plants remained low and all I did was deadhead spent flowers. I have given the tubers to a friend to grow in containers in her garden next year. 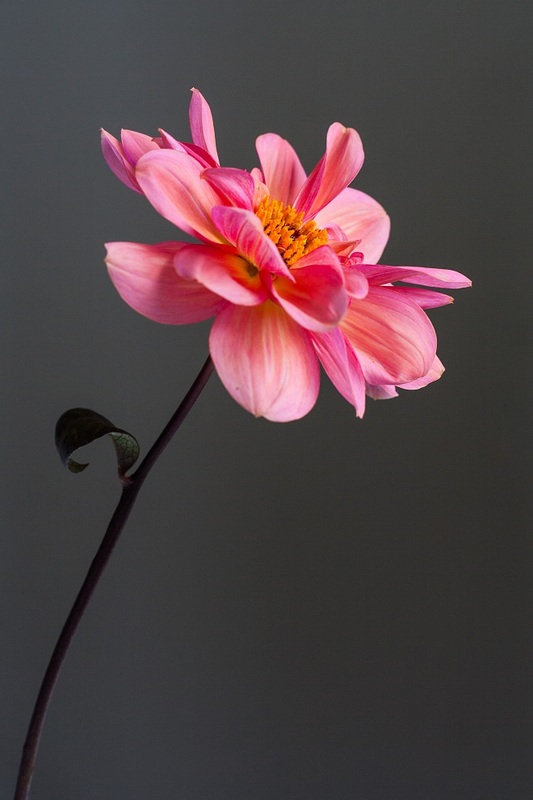 Dahlia Bishop of Llandaff is a classic and recommended as a cut flower. Mine remained very low, with small flowers. 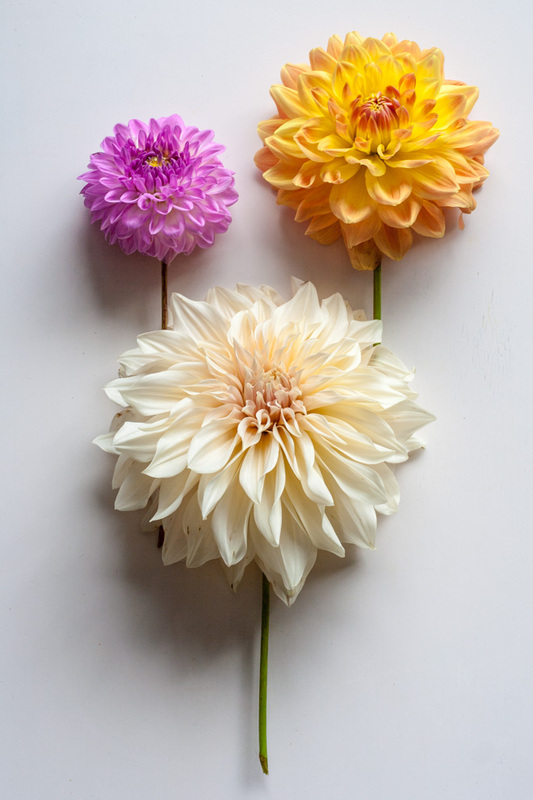 Dahlia Eveline has a beautiful lilac center, and white petals as long as it doesn’t rain. In late summer and autumn, the petals were turning brown before the bloom had fully opened. I had lots of flowers but threw most on the compost heap. Dahlia White Perfection held the promise of lots of large flowers. It was very late to bloom with only one flower at the time. I may have been able to cut three flowers, no more. I don’t even have a picture of it! I will give these tubers to a community garden close to the supermarket. 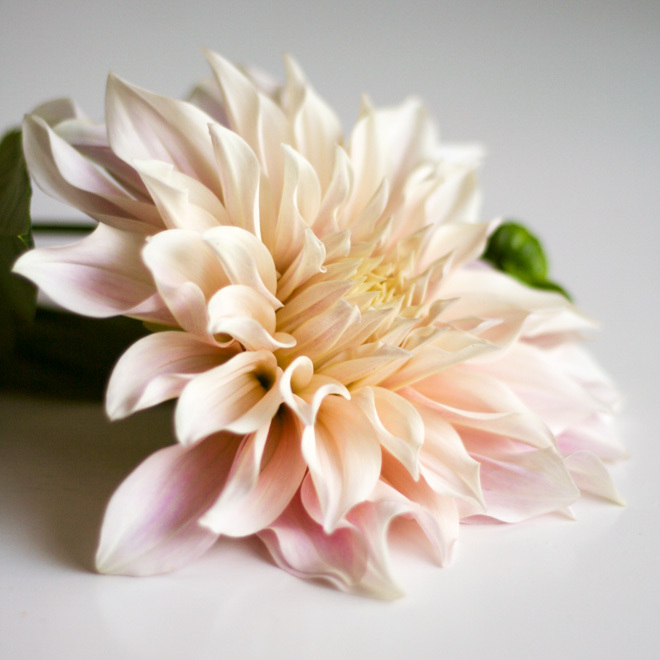 I don’t think I have to dedicate any more words to the Café au Lait dahlia. This year I planted three tubers, next year I just have to grow more. 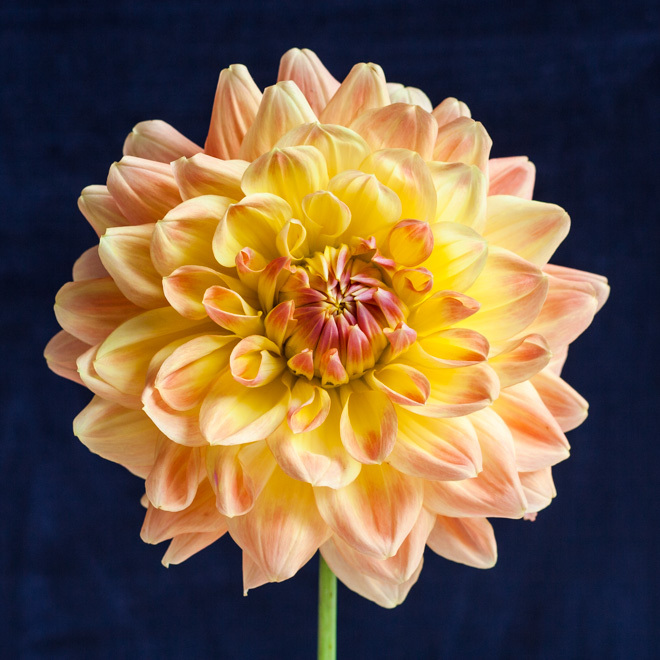 Another beautiful dahlia I loved this year is Classic Poème. I will grow it again next year and have another dahlia of this series, Classic Swan Lake, on my list. Dahlia Ace Summer Sunset was late to bloom and I didn’t really appreciate it until the end of summer than it became one of my favourites. Of course, I will also be growing the dahlias of my Autumnal dahlia bouquet again, Cornel, Sunny Boy, and an unnamed yellow cactus dahlia. The great thing about being a member of a dahlia association is you can learn from other, more experienced, dahlia growers. It’s also great to walk around the allotment and see what others are growing. Two dahlias I spotted at the allotment are also on my list for next year. One is David Howard, the other one is Bellelaine. 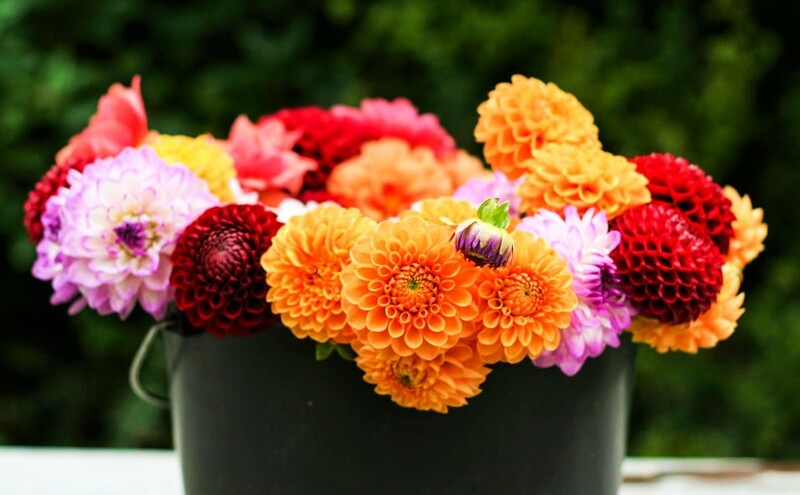 I took home a bunch of Bellelaines after lifting the communal dahlia tubers, and it did so well in the vase. I love the soft pink and yellow colour, don’t you? 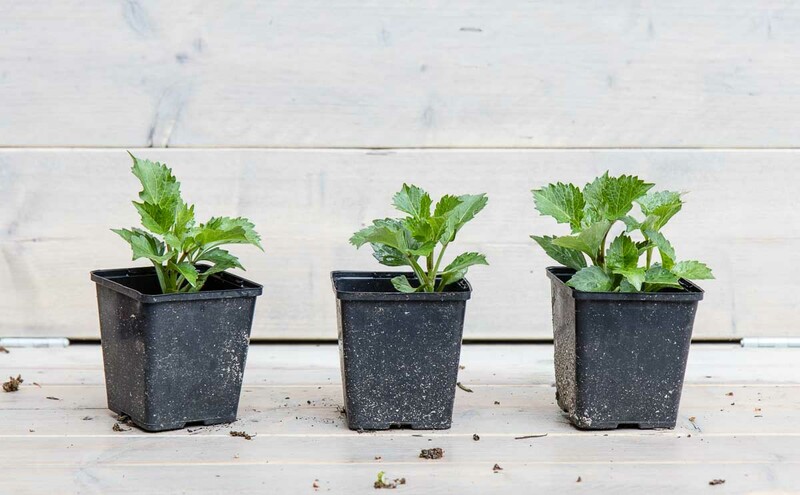 I hope you have found this post helpful, please let me know if there are any other varieties I should be adding to my list. Have a nice weekend! Wow, wow, wow, Pauline. You make me wish I was a gardener. I love all the dahlias. 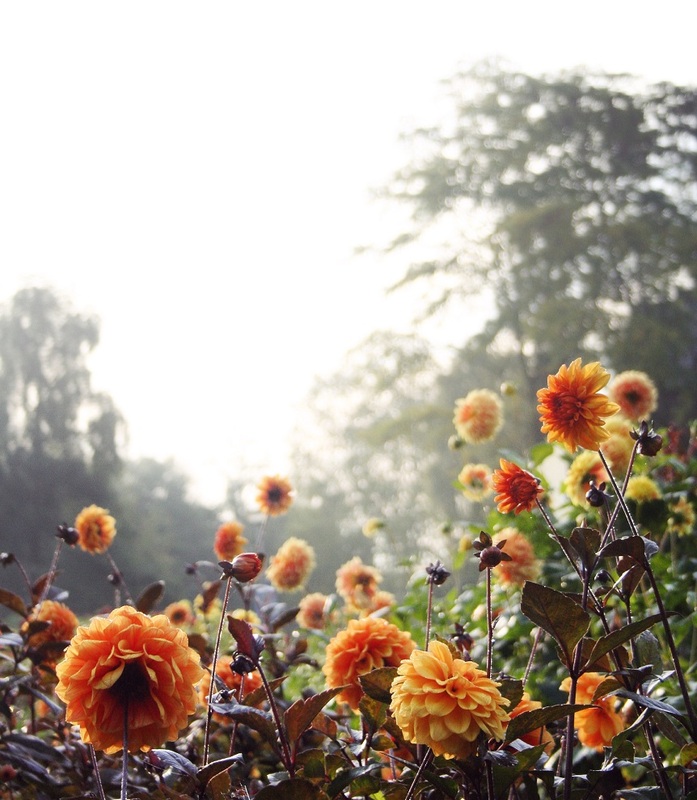 That photo of the dahlias David Howard in the allotment is so pretty. My Grandad wants to grow cut flowers for my sister’s wedding next summer. I will show him this post for ideas. We definitely need dahlias! Your sister is getting married, how exciting! Growing your own flowers for the wedding is such a wonderful idea. Your grandfather must be an experienced gardener. What are your sister’s favourite flowers, when is she getting married? My dahlias didn’t flower until July, so you should take that into consideration. Keep me posted! 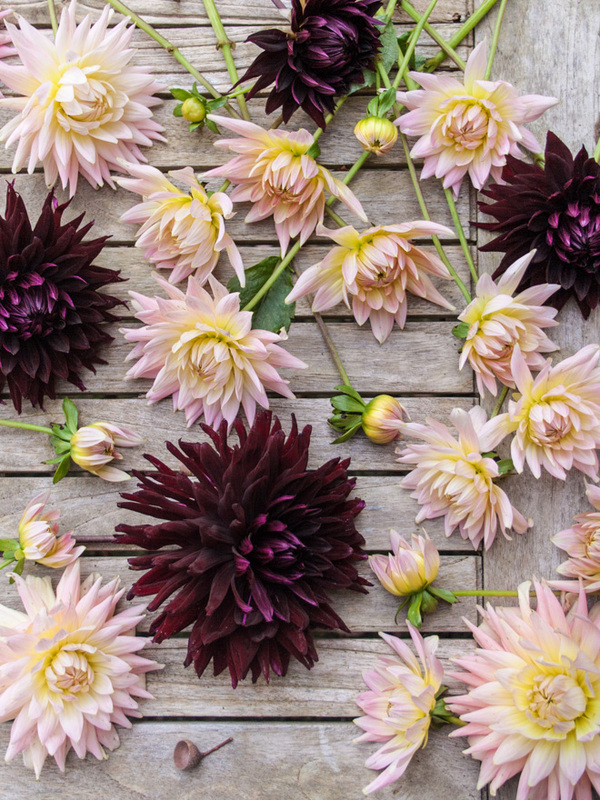 i love dahlias and we have loads! all the bishop series in pots and lots of red ones in the front garden. llandaff was v bushy this yr with late blooms, prob cos of uk weather. nb aps re typing but in sling at moment – no gardening, sob! 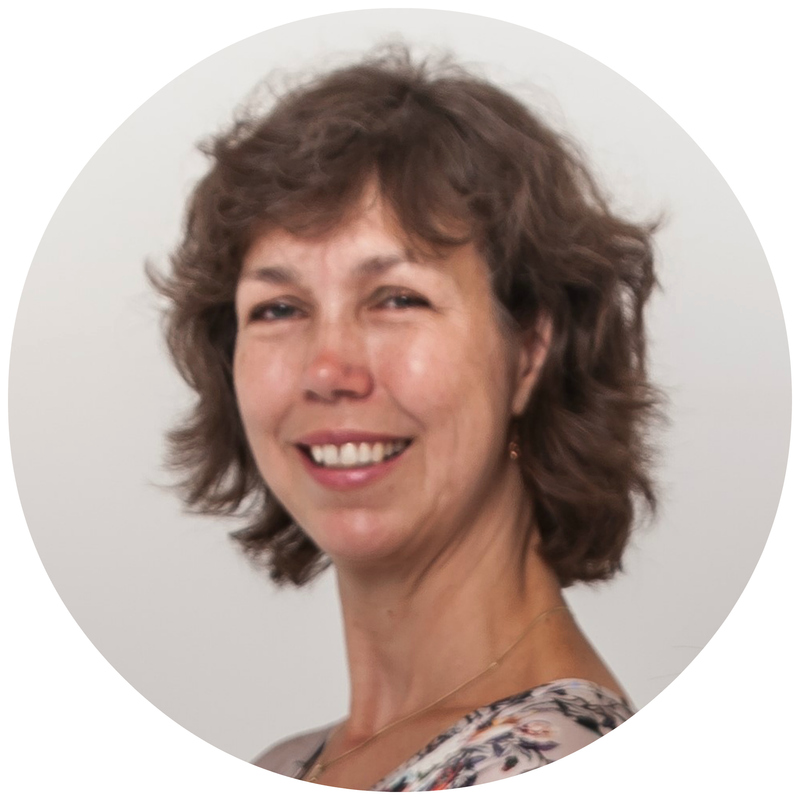 Hi Anne, I am sorry to hear about your arm, is it broken? I hope it will get better soon. Luckily, there aren’t many gardening chores at the moment. I will have a look at your bishop dahlias next year, maybe I will have to reconsider the Bishop of Llandaff! Pauline, I have discovered you today and I think I´ve been for 6 hours now reading and taking notes. I´m planning to start a small cut flower garden and this is so so helpfull! Thank you a lot for sharing all of this and for your beautifull fotos. Hello Pauline, I have just discovered your blog, as I searched online for “Dahlia Café au Lait Reviews” and yours was up at the top of the results. I am so happy to hear that this is a keeper – years and years ago (over 30! how time flies), when my first son was 3 and a half, we chose some dahlias from a catalogue, and he chose Café au Lait, which I planted and loved. Then the years passed, and I returned to that house with the garden after an absence of 10 years, obviously most of the bulbs and flowers were no longer there. Then the other day in a garden shop here in Normandy in France I found 2 Café au Lait tubers hanging in the summer bulbs section, and bought them. Now I am even happier than just finding them again – your comments encourage me to keep looking for other “lost flowers”. 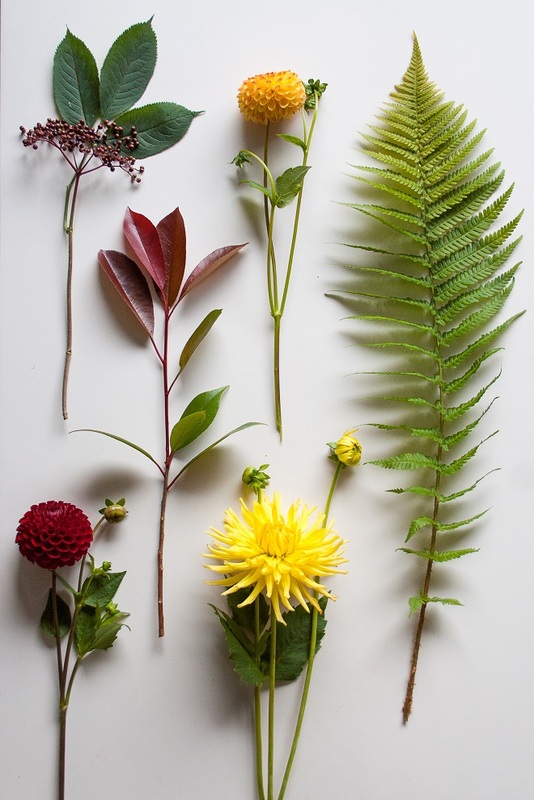 I had a Bishop of Llandaff and remember having liked the colors – but it had “strange behavior”: after a couple of years some of the flowers became double, while the others remained simple (which should be the train for Llandaff). Anyway, I won’t waste my time on that one, but instead am going to look for Classic Poème, Bellaine and Black Jack. 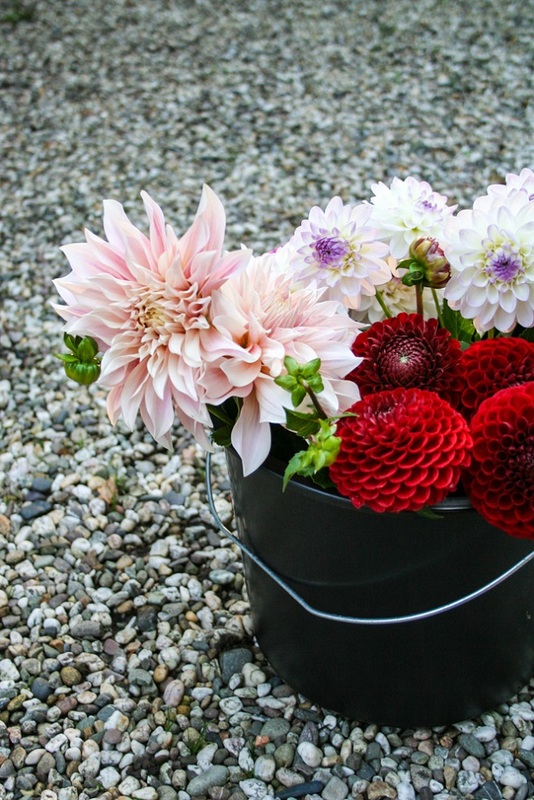 Also the lovely red pompom in the bucket with C au L – is that Cornel? Thank you again. This was a nice visit! I plan to see your other posts about your garden adventures. Thank you so much for your kind words. Wow, you grew Café au Lait 30 years ago! You must be a very experienced dahlia grower. The red pompon is Cornel indeed. 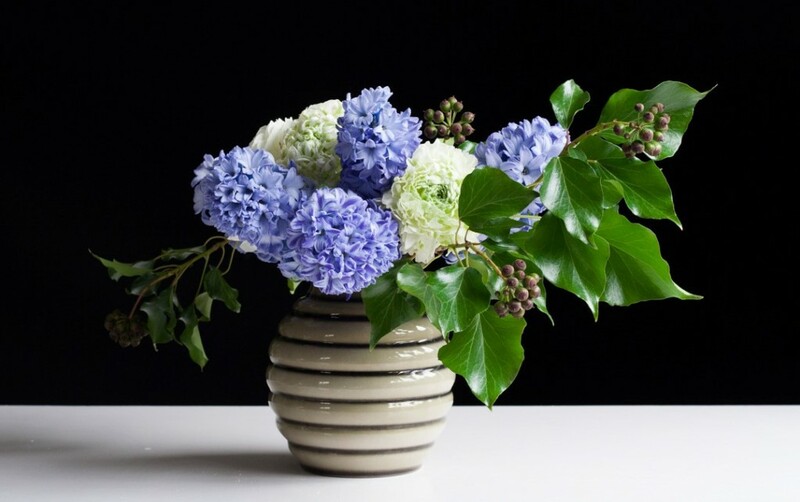 A real workhorse, and a good vase life too. Highly recommended. Maybe you’d like Labyrinth as well. I wrote a blog post about it, hope you enjoy it!